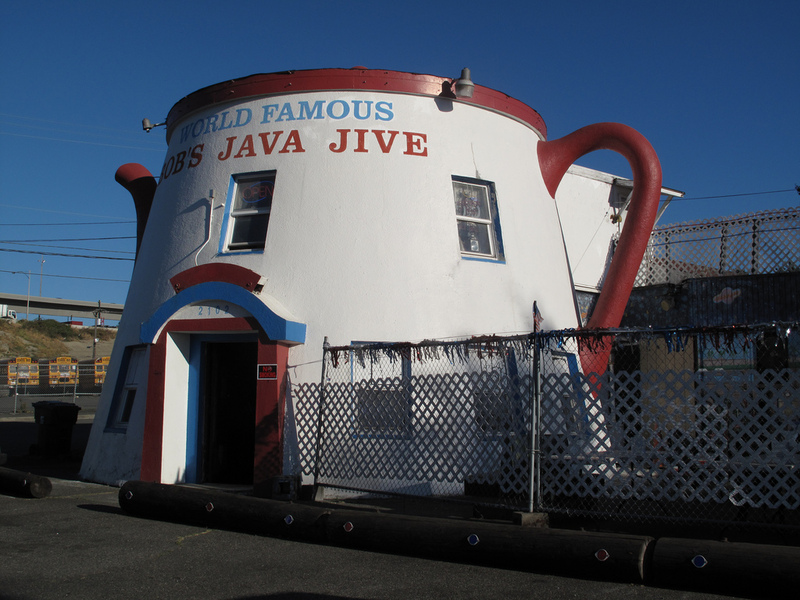 Bob’s Famous Java Jive at 2102 S Tacoma Way, Tacoma, WA‎ 98409 is indeed a Tacoma landmark. It was constructed in 1927 and it was originally known as The Coffee Pot Restaurant. 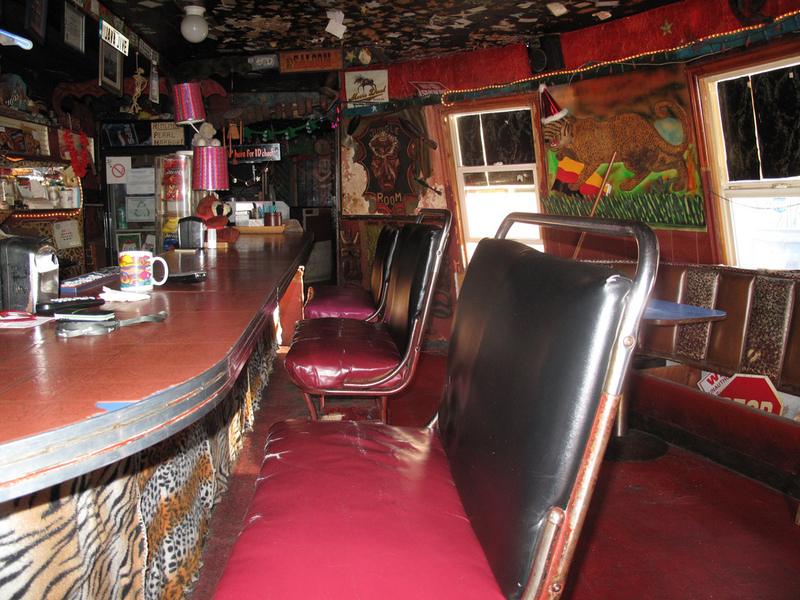 It has functioned as a drive through restaurant, a speakeasy during prohibition, a go go bar and a place for karaoke. Between talking to the bartender and online research, I learned a couple of things. At one point the Java Jive had two chimpanzees — Java and Jive. When it was a speakeasy the liquor and gambling was hidden away behind a secret door behind the men’s room urinal. But it was the secret room in the ladies room which had the illegal supplies for the mayor and other VIPs. The structure was built in the tideflats and then the sections were bolted together on the site. Two movies were filmed there: I Love You To Death with River Phoenix and Say Anything with John Cusack. Nirvana and The Ventures have both played here. And it is on the Tacoma Historic Register. This entry was posted in Historic Sites, Over 21, Restaurants and tagged bar, Bob's, coffee pot, dive, go go, illegal, Java Jive, Karaoke, movies, pub, Speakeasy, Tacoma, tideflats, World Famous on September 4, 2012 by admin. We had a great time at Bob’s Javajive. The people were so friendly and welcoming! The decor is kooky, but that’s just part of it’s charm. Note that it’s beer and wine only, no mixed drinks, and some tasty fried bar snacks (good fries and spicy mozarella sticks for us). It was a Tuesday night and we were checking out the karaoke…it was pretty much just us, but never let that stop us! JJ is a great karaoke host: played our favorite songs, let us sing as much as we wanted, kept the party lively. And the bartender and another random patron were sweet enough to get my partner free drinks for her birthday. If you’re stuck up, don’t go here. If you like to have a good time and you’re not pretentious, it’s a lot of fun. My partner said she had her best birthday in many years.